If you read the books and follow the movie, the story for Divergent is about surviving. Shailene Woodley as Tris, a young woman in a society where people are classified based on virtues such as bravery and intelligence. Woodley, whose credits include “The Descendants,” learns she’s part of a group seen as dangerous and targeted for annihilation. Theo James is her male co-star Four. Shailene Woodley is an American actress, best known for portraying Amy Juergens in the ABC Family series The Secret Life of the American Teenager (2008–2013). Co-starring alongside George Clooney in the critically acclaimed 2011 film The Descendants, for which she won the Independent Spirit Award for Best Supporting Female and was nominated for the Golden Globe Award for Best Supporting Actress – Motion Picture. For her performance in the film The Spectacular Now, she won the Dramatic Special Jury Award for Acting at the 2013 Sundance Film Festival. In 2014, Woodley starred as Beatrice Prior in the film adaptation of Veronica Roth’s novel Divergent. And will play Hazel Grace Lancaster in the film adaptation of John Green’s novel The Fault in Our Stars. Did you know she audition for The Hunger Games? Well the lead went to Jennifer Lawrence. And did you know she was in The Amazing Spider Man 2? Well she did some scenes and then got replace with another actress. But it’s okay, she got a better role in Divergent. Shailene Woody is an incredible actress and one she will win an Oscar for her performance. Theo James is an English actor known for portraying Jed Harper in Bedlam. In 2013, James played the lead as a rookie detective and future New York City police commissioner Walter William Clark, Jr., in the CBS crime drama Golden Boy. In 2014, he played “Four” in the film adaptation of Veronica Roth’s novel, Divergent. Kate Winslet is an English actress and singer. She was the youngest person to acquire six Academy Award nominations, and won the Academy Award for Best Actress for The Reader (2008). She has won awards from the Screen Actors Guild, British Academy of Film and Television Arts, and the Hollywood Foreign Press Association among others, and has been nominated twice for an Emmy Award for television acting, winning once for her performance in the 2011 miniseries Mildred Pierce, in which she played the title role. In 2012 she received the Honorary César Award. She is one of the few actresses to have won three of the four major American entertainment awards (EGOT), with her Emmy, Grammy, Oscar, and Tony. Maggie Q is an American actress, animal rights activist and former fashion model. She achieved international fame starring as the title role on The CW’s action-thriller series Nikita that aired in 2010-2013. In 2014, she began portraying Tori Wu in the film adaption of Veronica Roth’s bestselling novel, Divergent. And soon star in a CBS untitled drama as Detective Beth Davis. With her outfit she knows how to grab attention, she looked stunningly beautiful, I hope she wore something underneath. She’s definitely one to watch. Neil Norman Burger is an American film director who has filmed the pseudo-documentary Interview with the Assassin (2002), the period drama The Illusionist, and the 2011 thriller Limitless. Burger directed Divergent (2014), based on the novel of the same name by Veronica Roth. 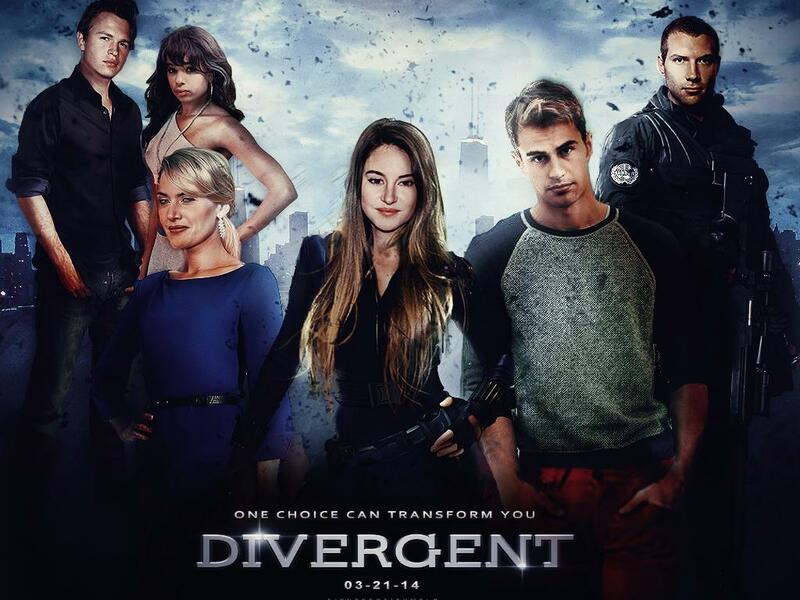 So please check out Divergent in your local theaters playing now.